This year we are jumping BACK on the Dave Ramsey wagon and trying to get out of debt. We even earned our Financial Peace University certificate. I am already a naturally frugal person so it’s been difficult to find ways to save even more money. I have heard all about Aldi and how it can cut your bill in half- yadda yadda yadda. The problem for me was that it was a little further than the Walmart that I go to for my pickup orders and a lot further than the Kroger that is conveniently located 3 miles from my house. Aldi is 11 miles away (Yes, I am a baby when it comes to driving.). So I went to Facebook to see if my friends could convince me to take the plunge. I got 130 comments and for me, that’s a lot. 99% of these comments were positive. The general consensus was that Aldi is amazing but don’t forget to bring a quarter and your own shopping bags. I’ll admit it. I am pretty obsessive when it comes to price comparison down to the price per unit. If the product tastes/works decent for us, the lowest cost per unit wins. After taking scrupulous notes and calculations between Kroger, Walmart, and Aldi, Aldi was by far the best deal. Yes, this includes sales. Olive oil spray, eggs, rice cauliflower, salami, zucchini, bell peppers- these items all cost a dollar or two less at Aldi! And depending on sales you can find fruits, berries, and vegetables at prices lower than I’ve ever seen anywhere else. There are a few items that were the same price at either Aldi or Walmart (like baking powder) and some that were only a few cents cheaper (like 10 cents less for oatmeal). There is one random food item that I buy that costs slightly more at Aldi and that is sliced Colby jack cheese. It wasn’t by a lot but since I am still going to Walmart for some stuff anyway I go ahead buy the sliced cheese at Walmart. My original goal was to shop exclusively at Aldi and see how much I saved but I was so disappointed in the toilet paper I had to flush that idea. I can’t buy Cottonelle at Aldi so that went on my list of things to buy at Walmart. I use Walmart’s online grocery pickup and the minimum order is $30. For our size family though just the toilet paper, paper towels, cleaning products, bath and dental products etc. can easily add up to $30. Plus there are a few food and drink items that I still get from Walmart so it all works out. 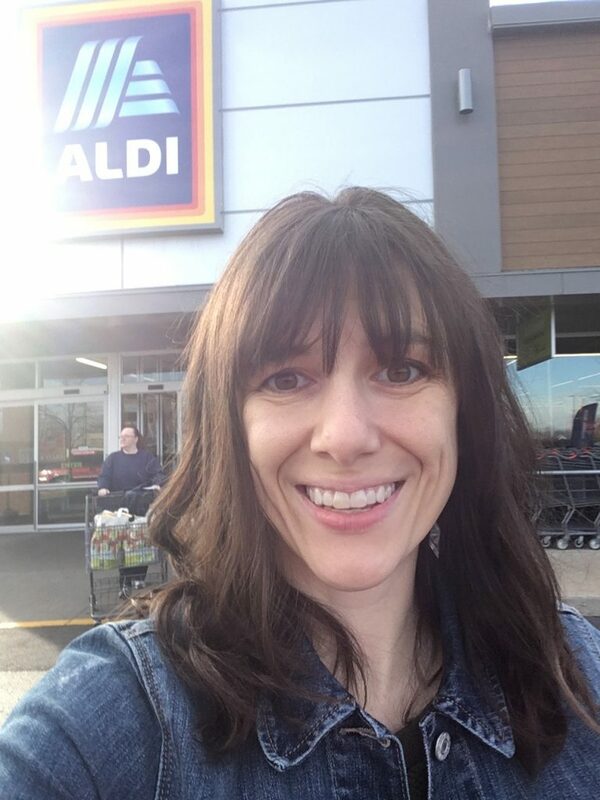 While getting to park and have your car loaded is the best way to shop in my opinion, I have been impressed with the customer service at Aldi. Not only that but the people that shop at my Aldi are really nice too. It’s like we know that we are all weirdos shopping at this quirky store with less amenities. It’s like being a part of whole new cult community. Everyone knows you work swiftly while loading your groceries and on numerous occasions I’ve seen men helping older women, or women helping moms that have babies with them. It’s really sweet. I kid you not I teared up once. I’ve also seen people let someone go through first if they only have a handful. 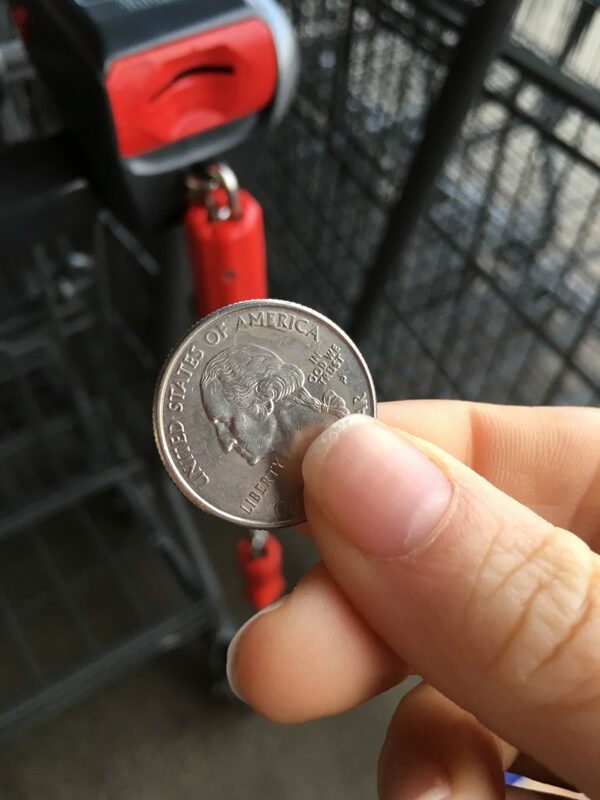 And everyone knows if you are walking up to get a cart you can bypass the whole system by handing off your quarter to the person returning theirs. I don’t want to get overly deep about grocery shopping but what I’ve observed (here in the burbs) is that when you have to do more (like bring your bags or bag your own groceries) you see people working together and helping more. I’m sure that’s not true everywhere, but I am happy to report that has been my experience. For those that know Dave Ramsey’s FPU program there are two kinds of people- the nerd and the free spirit. When it comes to finances, I am the NERD! We use the Every Dollar app so I am not making up these numbers when I say we save $50 week or $200 a month on groceries by going to Aldi. I can track our monthly grocery bill from 2018 to March of 2019. I used to spend around $700 a month and now it’s down to $500!!! That includes toiletries, cleaning products, and over the counter medicine. Not only have I saved $600 so far but our pantry is more stocked than it was before. We have an extra refrigerator in the basement where I can keep some of the stockpile. I am confident that if there is a zombie apocalypse we could shut ourselves in the house and live for quite some time. 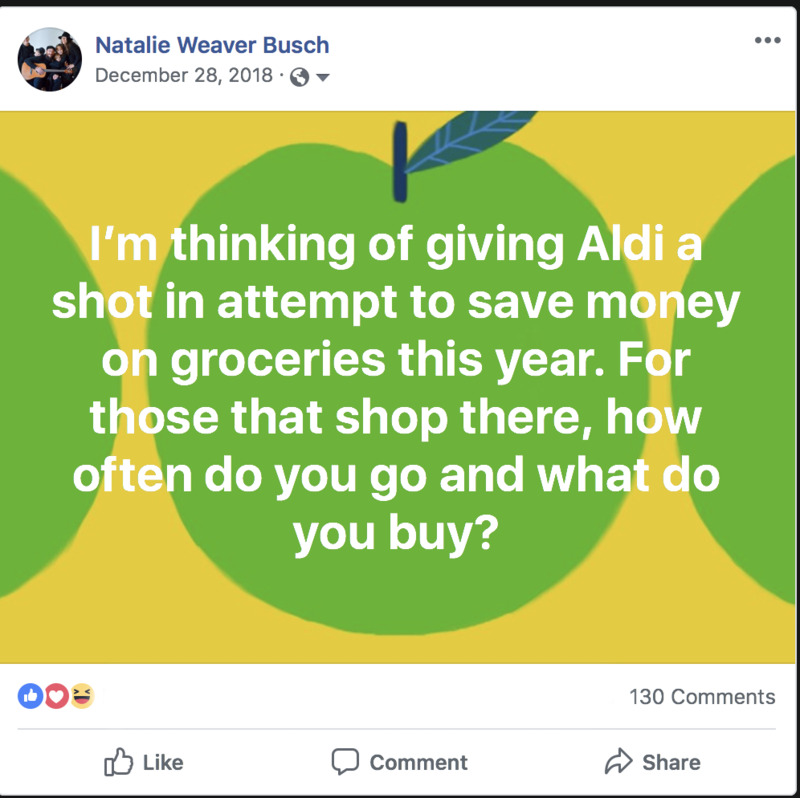 Most of the people I know that shop Aldi have another grocery store or two where they shop depending on their personal needs and preferences. I am fine with hitting up two stores, especially since one is online shopping, but I really didn’t want to juggle three. The problem is there were some products we consumed that we could only get at Kroger. We loved the Kroger Private select brand of coffee, and their soda water, and the meat is really good too! Now this is all just personal preference but I was determined to find substitutions for all of these things and I did. The only other kind of soda water my husband approved of was Mango Bubly. 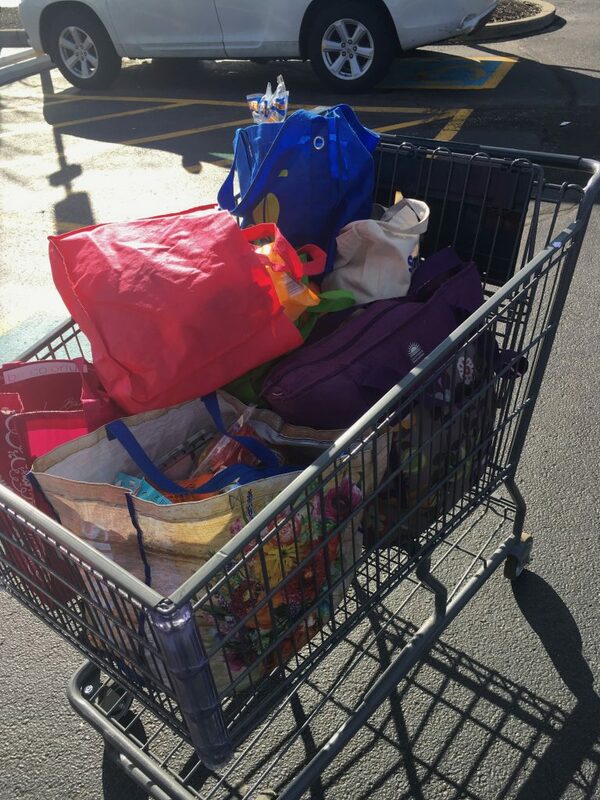 It actually costs more than what we were purchasing before, but as a busy mother of four I could not justify making an extra trip to Kroger to save a couple bucks so we are sticking with the higher priced soda water. This also means I have to say goodbye to fuel points. At Kroger you earn 1 point for every dollar you spend. Every one hundred points is 10 cents off per gallon at a Kroger gas station, which is nice! I love racking up those points and paying rock bottom prices at the pump. When I did the math though it still wasn’t worth it. The maximum amount of fuel points allowed per customer is 1,000. So even if I did spend that much (which I don’t) it would be a dollar off per gallon. So on a twenty-gallon tank that would be a maximum discount of $20 per month. That’s a great deal, but since I save about 10 times that shopping elsewhere I guess I can get by without a discount. 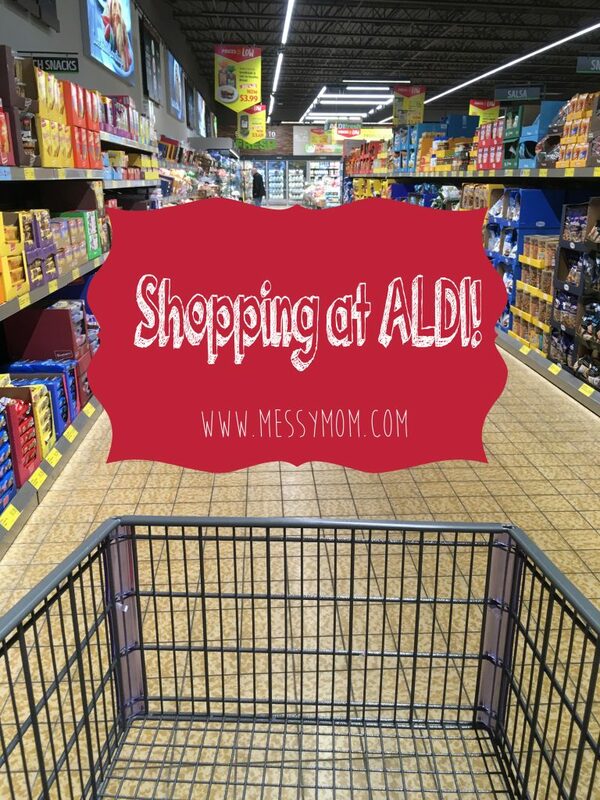 Will I be committed to Aldi forever? It’s hard to say, but for right now I am grateful to have it in my life!